A broken or inefficient air conditioning system can certainly cause some trouble, especially during a hot summer day! 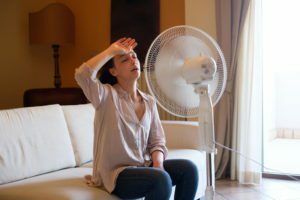 Of course, the last thing that you should have to deal with during the summer is a faulty AC, as you have plenty of other things to worry about, like stocking up on sunscreen, perfecting your cannonball, and finding the best ice cream shop in town. The best thing you can do when your air conditioner is in trouble is to contact a professional HVAC technician right away. But, what do you do if you can’t quite tell if what your AC is experiencing is normal? Well, we’ll tell you! You read this blog! Below, we have listed some of the tell-tale signs that you need AC repair in Raleigh, NC. Keep reading to find out more, and be sure to schedule professional repairs if your air conditioner is doing any of the following things. Posted in Air Conditioning | Comments Off on AC Troubles Got You Down? Posted in Air Conditioning | Comments Off on Have You Considered Going Ductless? Of course, we are all looking for ways to save a few extra bucks each month. So, we cut back on take-out, nights out, and morning coffee runs. But, did you know that you can start saving more money each month by ensuring that your home is energy efficient? When your heating and cooling systems are energy efficient, you’ll spend less time worrying about costly repairs and high utility bills, and instead, pocket some extra money to be used however you wish. Managing your budget starts by changing the ways in which you interact with and take control of your HVAC systems. Installing a zone control system gives homeowners ultimate control over their home heating and cooling systems, increasing efficiency and lowering monthly costs. Below, we will be discussing the many advantages of installing a zone control system in your home. Keep reading to learn more. Schedule Your AC Services Today! Sure, it might only be February, but spring is just around the corner with summer to follow soon afterward! We know better than anyone that time flies, so it is best to start thinking about the ways you can prepare for summer now. There are plenty of things that you can do to get ready for the seasons ahead, scheduling your annual air conditioner services being one of them. Scheduling your AC services before temperatures climb well into the 80s is the best way to ensure a comfortable and enjoyable summer. You have plenty of other things to worry about besides a faulty air conditioner, like getting the perfect tan, finding the best ice cream shop, and mastering your cannonball. By scheduling your services now, you can rest assured knowing that your system will keep you and your family cool and comfortable, even during the hottest heatwave. In case you aren’t yet convinced, we’ve provided a list of reasons why you should call for pre-season AC maintenance and repair below. Posted in Air Conditioning | Comments Off on Schedule Your AC Services Today! If you own a heat pump, you are likely well aware of its benefits: it’s versatile, efficient, and quite effective at providing you with year-round comfort. But, what happens when it gets too cold? An electric heat pump is a great alternative for the traditional heater and air conditioner, however, in areas where temperatures drop too low for the heat pump to effectively heat the home, a hybrid heating system might be your best option. Of course, winters here in North Carolina aren’t what our neighbors up North would call “harsh”, but temperatures have been known to drop significantly during the winter season. We believe that it is always better to be prepared, and having the right combination of HVAC systems can drastically improve your energy efficiency during a particularly cold winter season. Hybrid heating systems allow you to enjoy the efficiency of a heat pump without having to worry about energy costs when the weather becomes too extreme. Keep reading to learn more. Posted in Heat Pumps | Comments Off on Do You Need Heat Pump Repair? Sometimes an attempt to save money can end up costing you a lot more in the long run. This is often the case when homeowners hire amateurs to service their heaters. Sure, a “quick-fix” might provide a temporary solution to your problem, but odds are, the problem itself will be left unresolved. Hiring a qualified HVAC technician is the best way to ensure that your heater issue will be properly diagnosed and corrected. There are plenty of people willing to work on your heating system, but many don’t have the training or experience necessary to properly perform your heater services. There are many qualities that you should be looking for when you hire someone to work on your heater. Below, we have outlined a few of them. An efficient furnace can provide you with all the warmth you desire during the winter season. Here in North Carolina, temperatures have already dropped below 55 degrees, so you’ve most likely turned your furnace on. We depend so much on our heating systems to keep ourselves and our families comfortable throughout even the chilliest of days. So, when a problem arises, you will want to contact a trained HVAC technician for furnace repair in Raleigh, NC. There are many tell-tale signs that suggest that your furnace is in need of repair services. Below, we have listed some of them for you. If you notice any of the following, don’t hesitate! Contact a professional before more damage occurs. 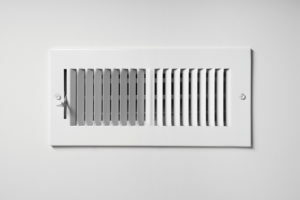 Screeching: is likely a sign that the blower motor in the furnace is not working properly. This is the mechanism responsible for circulating warm air throughout the home. Clanking: indicates a serious problem with the furnace’s blower wheel. If this is the case, turn your furnace off immediately and contact a professional to prevent further damage. Banging: suggests a dirty blower. The noise is caused by a delay in ignition due to build-up. The gas builds up, and when it ignites, a small explosion occurs inside the furnace. Rattling: could mean a cracked heat exchanger, which is a very serious and potentially dangerous problem. A cracked heat exchanger could allow carbon monoxide to leak inside the home. If your furnace isn’t quite producing the amount of heat you expect, then there is likely a problem. Heat loss is indicative of several potential issues, such as clogged burners, faulty ductwork, or a lack of fuel if you use a gas furnace. In any case, a professional can restore the heat that you are used to. Short cycling is when your system turns on and off over and over again, rapidly, throughout the course of the day. Short cycling is typically caused by a lack of airflow into the furnace. This causes the furnace to overheat and shut down. Short cycling is extremely inefficient. It takes a lot of energy for your furnace to start the heat cycle, so imagine just how much energy is used and wasted when it is constantly restarting. If you’ve noticed your heat bills are higher, but you haven’t used your furnace any more than you normally do, then there is a problem somewhere within the system. When your furnace needs repair, it must work harder to do its job, thus decreasing efficiency. A lack of efficiency means paying more for heat. If you are concerned about the well-being of your furnace, schedule repair services with Ideal Services Heating & Cooling. Our friendly technicians will accurately diagnose and fix whatever problem your furnace may face. Contact Ideal Services Heating & Cooling to get started.